Everyone ought to know how to make cold brew coffee at home. And you have the chance to brew exactly like the way your favorite coffee shop does. So why miss it? This simple how-to guide will help you make the most of the coffee beans. Here’s what you need to get started. Freshness matters for as long as coffee beans are concerned. 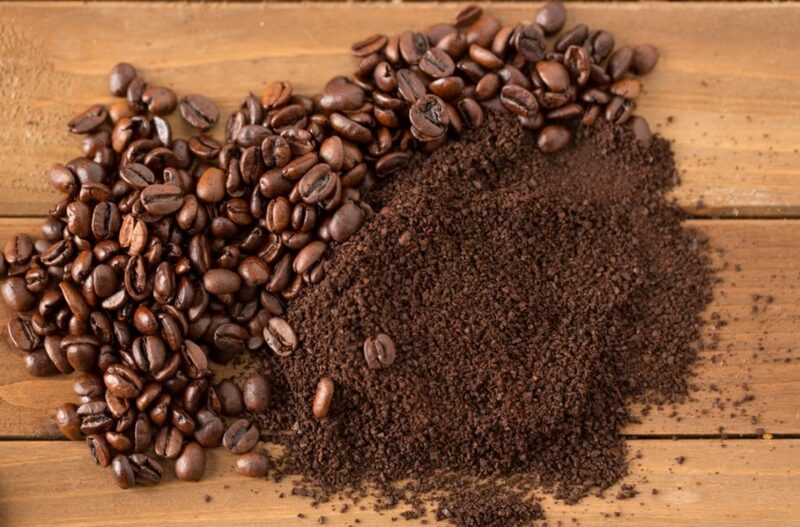 The best time to ground coffee beans is within 2 weeks of the roasting date. This is when coffee is the most aromatic and strong. Make sure you buy coffee when it’s at its peak flavor. And to do that, check for the manufacturer details of the coffee bean from the grocery you shop from. Each bag of coffee beans comes with its own roast date and ‘best before’. It will let you know how soon to grind the beans for its best flavor. What is the best coffee grinder for cold brew? It’s what gives you better grind consistency. On top of it all, it should give you a thick coarse grind. While preventing overheating the coffee by preserving its fresh aroma. You need at least 8 ounces of water to mix with the coffee grind. All this goes into a long water jug or jar that you can store in a refrigerator. The muslin sheet or paper cloth is to strain the coffee after the brewing is complete. What makes cold brew coffee the best in town for its rich and aromatic taste? 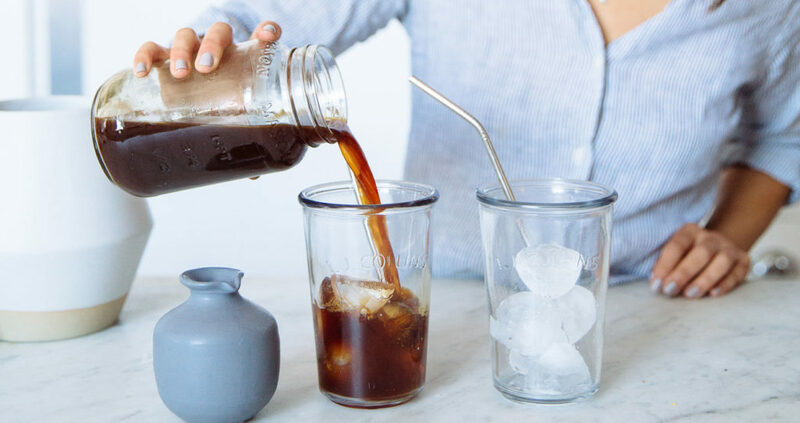 This beginner’s guide to cold brew coffee lays down everything you need to know! Change the settings of the grinder to its highest coarse setting. 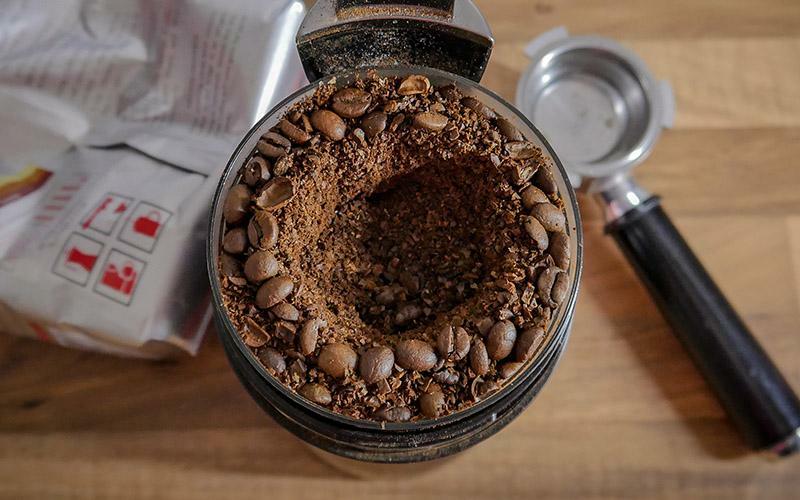 Only the best coffee grinder for cold brew offers such performance. 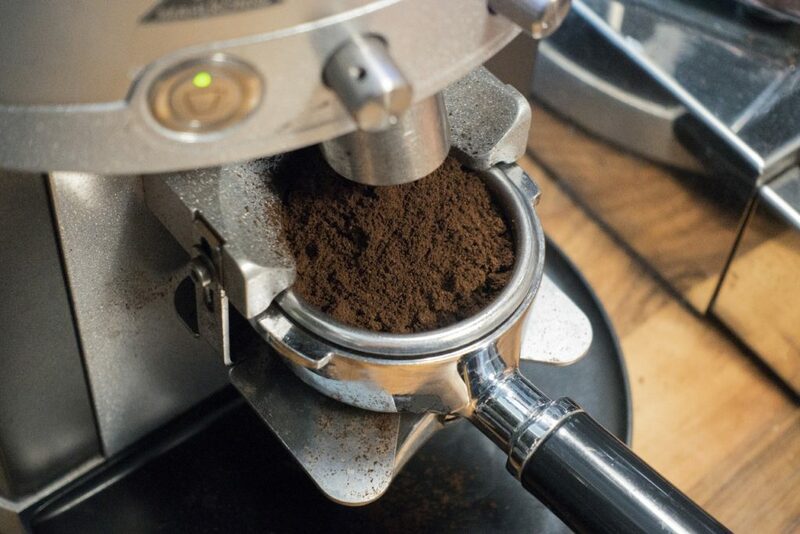 Grind the fresh coffee beans, a little at a time, to get the same breadcrumb-like consistency. Do not make the coffee grounds any finer. As that compromises the flavor and texture of the cold brew. You want it to taste smooth and not powdery. In a jar with enough water, preferably 8-10 times the quantity of the coffee grind. Mix the coffee grounds and water. There’s a way to do this. And that is to pour the ground coffee first. And then add cold water from the top. Stir well and keep covered either outside or in a refrigerator. The ideal brewing time should be somewhere between 14 to 25 hours. After the brewing duration is complete, strain the coffee in a large bowl. This is to get rid of any large grounds through a sieve. The next step is to use a muslin or paper cloth to get rid of the finer grounds. Note: Straining the brewed coffee only once is not enough. You have to repeat the process at least 3 times. The best way to know when to stop is to check for any residue at the bottom of the brew. Finer grounds are difficult to strain even with the help of a muslin cloth. Hence, always keep your grind settings to the coarsest setting. You can add sugar, cream, milk, or syrup to your cold brew. Or you can cover the jar and keep it in a refrigerator. And drink a glass as and when you like. The best part about cold brew is that you can drink for as long as a month. Any beginner’s guide to cold brew coffee is incomplete without this. 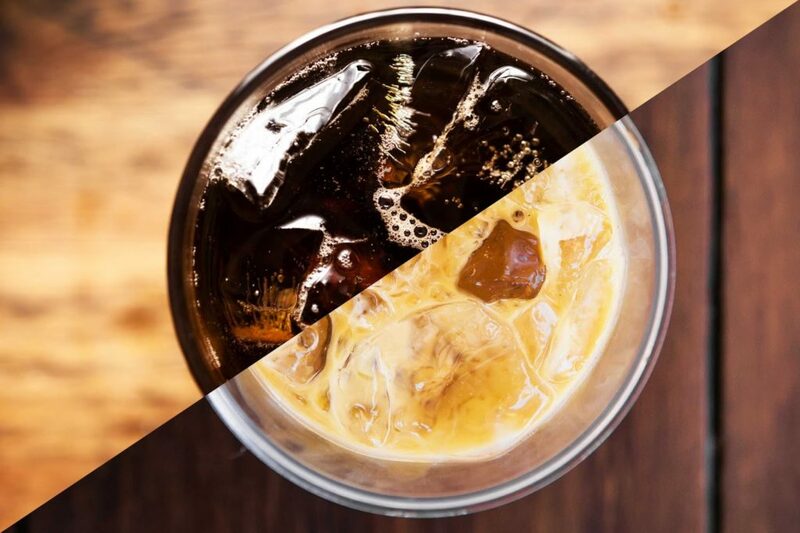 There’s a clear difference in flavor between cold brew and iced coffee. 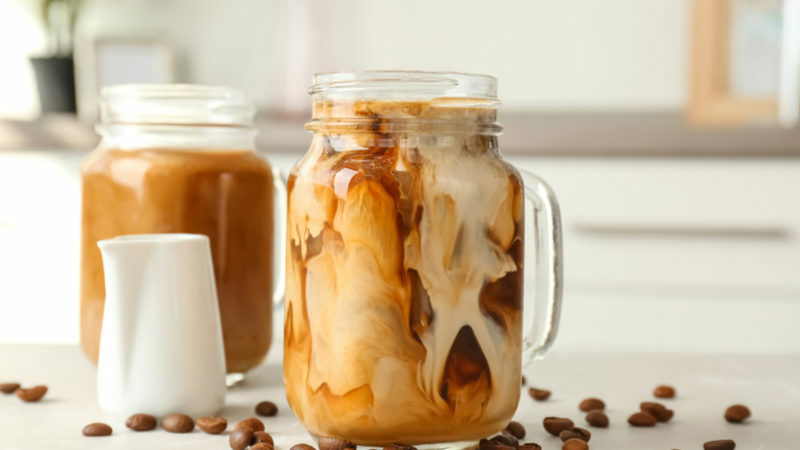 To make iced coffee, you need the strongest coffee ground which increases acidity. The opposite is true for brewing cold brew. That’s why iced coffee is bitter as the process to extract coffee is faster. It uses hot water to reduce extraction time. As you already know, cold brew uses a slower extraction process. Making it sweeter and lower in acidity than iced coffee! Having said that, between the two processes, I prefer cold brew. As it is popularly the most convenient and rich method for making cold coffee. Don’t you agree? Now you know how to make a cold brew and why it’s so special. 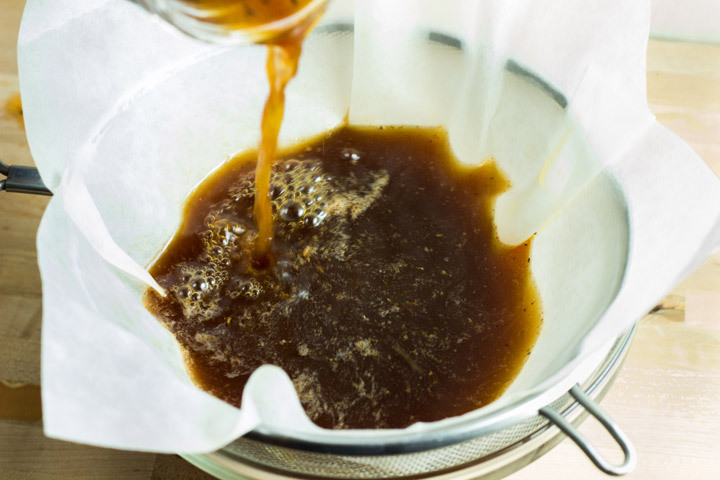 There are many home-methods to cold brewing coffee. You can brew coffee at it is done in coffee shops. So you never have to go there for your daily coffee run! 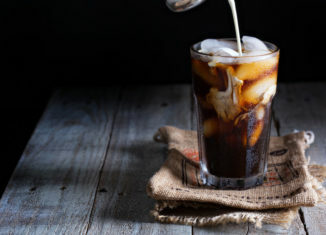 Allow this Beginner’s Guide to Cold Brew Coffee to inspire you to make your own cold coffee. Whether you want to take it to work in a sippy cup or kick back with a book on a warm night. Laura Cooper is too modest to accept that she is a multi-talented blogger. Not every woman-centric blogger can review products, create buyer’s guides, and offer the most productive tips all at once. But these are quite effortless tasks for Cooper. She has been at it for many years now. And will continue to do so as long as the online market persists.